Powder-coated, panel-mounted single electrical outlet. Optional VOC Sensor may be installed to monitor the chemical concentration at the hood exhaust. The microprocessor control will activate audible / visual alarms if high concentrations of chemical vapors are detected. Epoxy coated swan-neck faucet manufactured according to BS 2874, DIN 12898, DIN 12919 and DIN 3537. Service fixtures for air / water / vacuum / gas. Manufactured according to DIN 12898, DIN 12919 and DIN 3537. 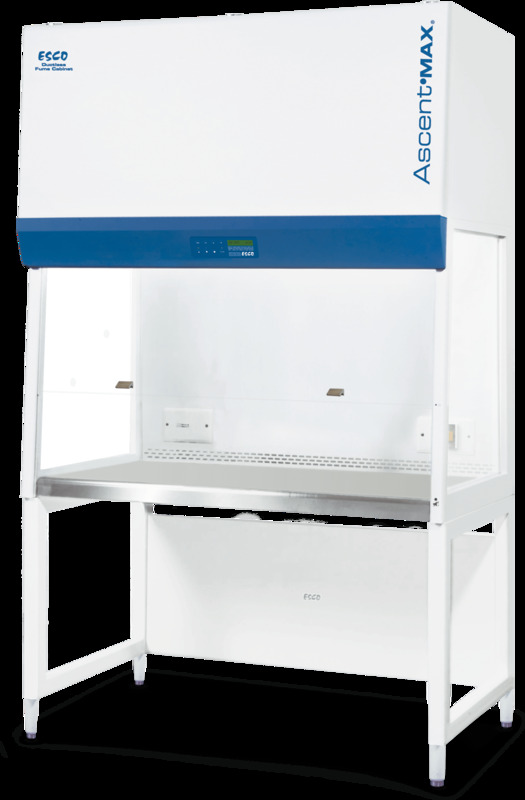 Maximizes storage space in the laboratory; convenient for solvents, acids and other laboratory chemicals.